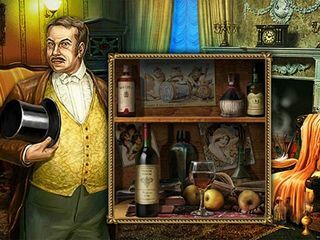 Night In The Opera is hidden object adventure game gone classic. And by classic I mean that you are going to hear a lot of classic music, which is a nice feature for a game of this genre. You can get it from iTunes store or Google Play depending on the device you are going to play it on. The game looks and sounds very appropriate to the story. Beatrice Agnes, an opera diva was found dead after a performance at an opera theater. There is a great range of people -jealous rivals, ambitious enterpreneurs, obsessed admirers - who would have benefited from her disapearing from the stage once and for all. It is going to be your job as a detective to investigate the case and meet each one of the suspects exploring theri motives and the possibility of murdering the Diva. Prepare for diving into a lot of theatrical gossip and behind the curtains stories. The game looks and sounds very appropriate to the story. 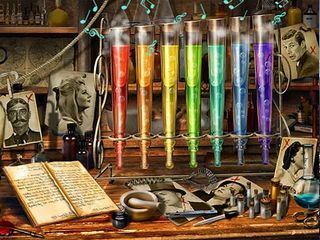 All the colors and theatrical details together with the classic music creat this wonderful atmosphere for a murder mystery story. Excellent! The game play offers you quite a lot of options. 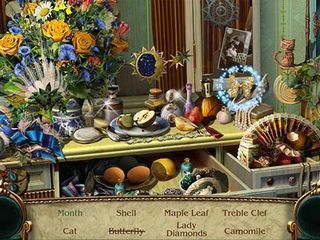 Of course, there is going to be a lot of hidden object scenes as you look for the clues to solve the murder mystery. But they you get to play Match-Three, Bubble Shooter, or Snooker kind of mini game. One nice thing about these kinds of arcade and hidden object scenes is that you get to choose what to play to proceed with the story. It is so neat! You can practically make it the kind of game you would perfer it to be. You also get to do other detective stuff like safe cracking or expert examinations that come in the form of mini-games that you get to solve. That adds even more variety to the game play. Night In The Opera is a wonderful detective mystery game with a character and a lot of HOS and arcade challenges. This is Night In The Opera review. Download this game here.